This is heavy duty with 3 layers. The outer layer has body armor in the elbows, shoulders and back. The second layer is the wind/rain jacket. The third layer is the thermal layer. Truly a 3.5 season jacket. Strip it all down to the outer layer and it is fine in the summer. Great support too! I had a broken zipper on the sleeve compartment and the whole jacket was replaced in 2 days! Incredible!!! I would buy again. My second pilot jacket love the fit and price. Bought this jacket for a little more versatility . deep pockets and a thermal linner. Have one sewn in . The Elipsol jacket represents a new design direction for Pilot that favors more muted tones with selective use of color accents. We wanted to design a piece that was both our most advanced technical jacket to date, but would look just at home in a coffee-shop or a roadhouse. 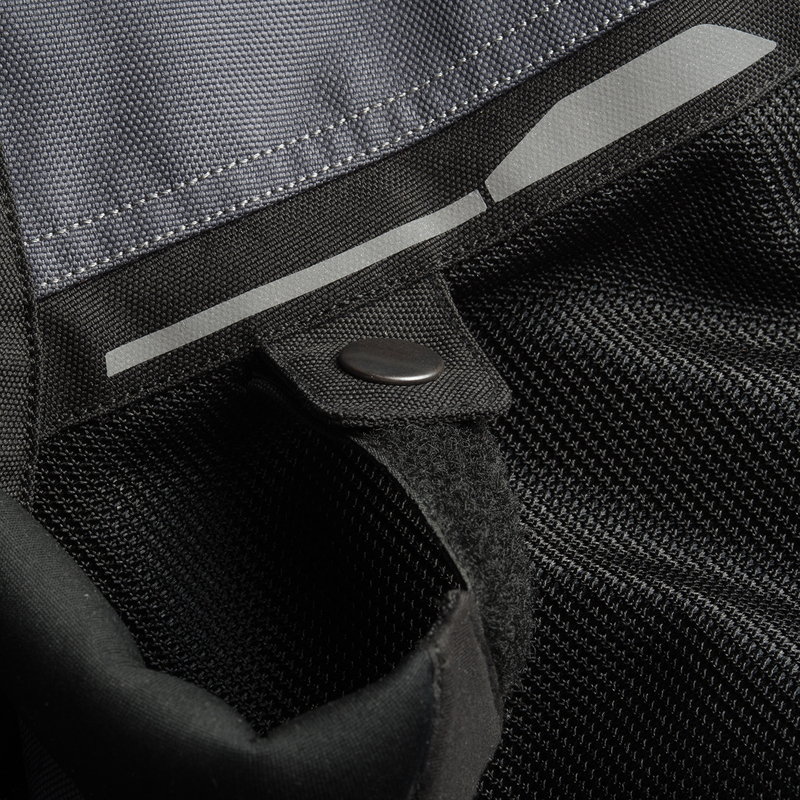 With the Elipsol we've came as close as we ever have to designing a true do-everything jacket. The mesh panels on the front allow for a ton of airflow while the dual removable warmth and rain liners grant the wearer the ability to dial in the jacket's waterproofing and insulation for the conditions at hand. 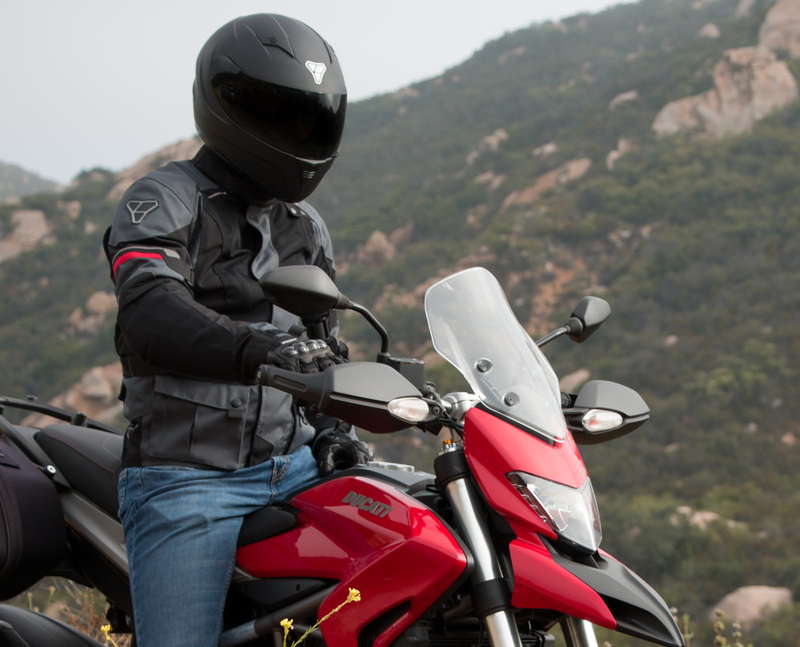 A lot of moto-apparel falls into one of two categories: brightly colored race gear or completely drab touring kit. Why can't there be a middle ground? We think that the Elipsol's crisp lines and subdued use of color combine to create a jacket that's equal parts sport and touring. 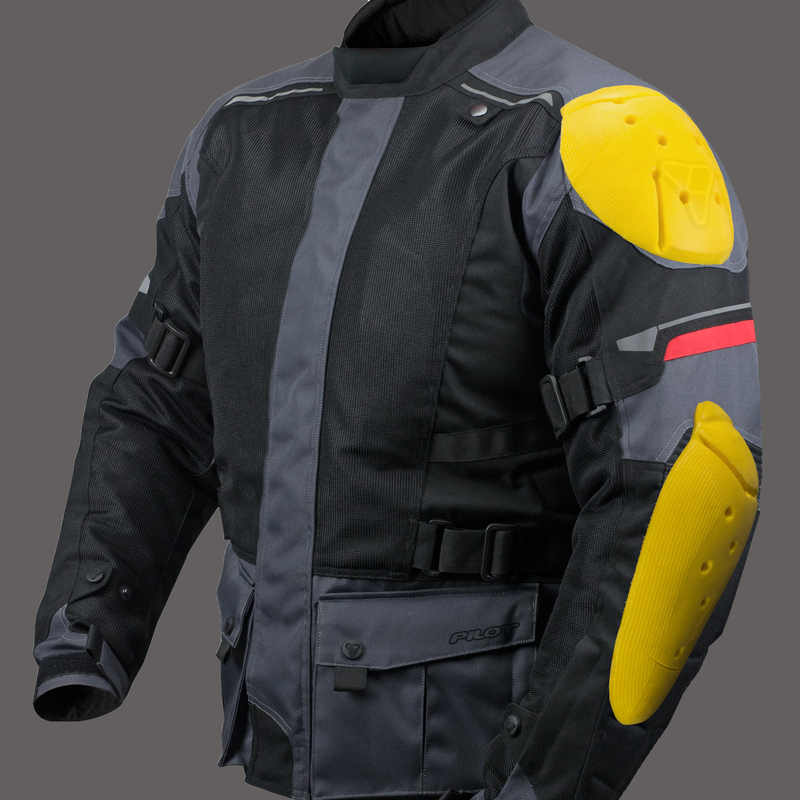 The elbow and shoulder armor in the Elipsol are composed of a completely new composite material. With its removable Thremo-Lite warmth liner and removable Reissa waterproof membrane the Elipsol can be warn comfortable from Spring through Fall. The Elipsol is truly the most versatile jacket we've ever made. 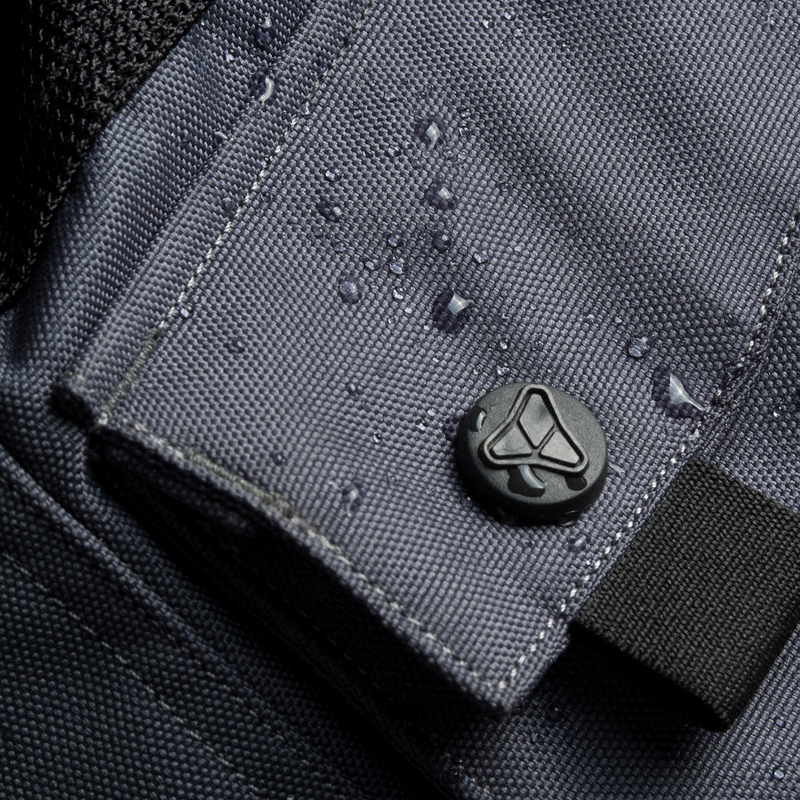 It can transform from a warm weather mesh jacket, to waterproof rain gear and back again. The Elipsol jacket features a fully removable Reissa waterproof membrane. 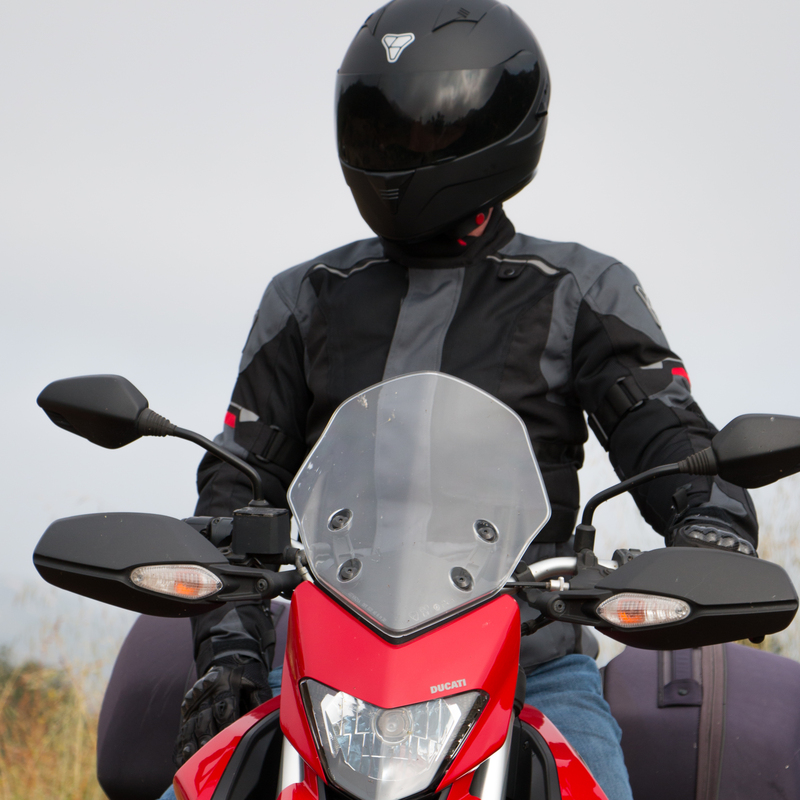 A fully length Aqua Guard zipper keeps wind and rain from reaching the rider. In addition a removable Thermo-Lite warmth liner keeps the wearer warm when the temperature drops. The result is a jacket that can be worn in four different and distinct liner combinations. Reflective stripes on front, back and arms, as well as reflective Elipsol logo help improve visibility at night. The effect is a jacket that's both stylishly subtle and highly visible. For maximum visibility, chose the hi-vis colorway. Outer Shell 600D exterior with 210 Pilotex mesh panels on chest and back. Inner Liner Dual zip out liners, one Termo-Lite warmth liner and one Reissa waterproof liner.